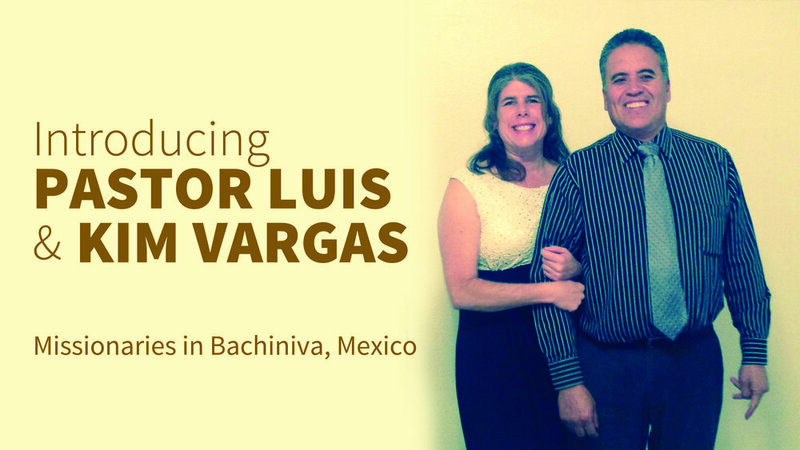 We are really excited to introduce you to Pastor Luis and Kim Vargas, pastor of Calvary Chapel in Bachiniva, Mexico. You may already be familiar with the House of Blessing Orphanage because we have been actively supporting Jason and Jackie since they started the orphanage in Bachiniva in 2012. What you may NOT know is the reason Jason was familiar with the tiny mountain town of Bachiniva in the first place! Jason Sanchez (missionary and orphanage director) is originally from Washington State. Jason served on staff as youth and worship pastor under his dad, Pastor Ron, for many years. Pastor Ron’s sister is Kim Vargas! Jason’s Aunt Kim and Uncle Luis were the first ones to venture down to Bachiniva and follow God’s call to minister to the people there. It was this connection to Bachiniva that allowed Jason and Jackie to become familiar with the area of Bachiniva and see the need for a Christian orphanage there! Pastor Luis and Kim moved from New Mexico to Bachiniva with their 5 children in 2004 to start a church for the people there. The church began as Pastor Luis began to teach through the book of John to a group of adults and their children outside in the patio of Luis’ sister, Armida’s, house. After a few services outside, the church moved inside a comercio (a small grocery store) that was in Armida’s house. They met there for about two years. During that time the Lord stirred on many people’s hearts to come alongside the work. Since 2006 they have been worshiping in a beautiful church that was built with the help of many churches. When Jason and Jackie began to build the orphanage in Bachiniva, Pastor Luis and Kim immediately offered their support and have been actively involved in that ministry as well. Redemption Church has taken several mission trips to visit and serve at the House of Blessing Orphanage, and each visit has also allowed us to connect with the Vargas family and the beautiful church fellowship there. Pastor Daniel has even taught (with the help of a translator!) at their weekly services! Please join us in praying for Luis and Kim and their family as they continue serving Jesus and the people of Bachinva. It is not an easy place to live or pastor. They are in constant need of encouragement and support. Redemption Church is supporting the Vargas family both in prayer and financial support, and we would love to have you lifting up the needs of their family and community along with us. God is doing great things in Bachiniva!